The Honorable Minister Louis Farrakhan spoke on events leading up to and after the assassination of Malcolm X and the its effect on Black America. The address took place at Malcolm X College in Chicago, IL. February 21, 1990. 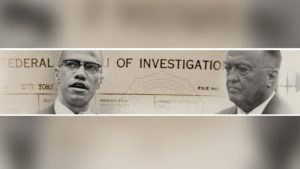 Additional information and analysis of the Malcolm X Assassination in the context of the FBI's Counter Intelligence Program and the United States Government's criminal war against dissent.